Relax! 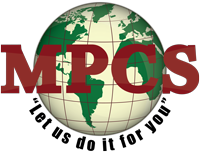 Enjoy your vacation and allow MPCSto take care of your pet and your home. When you are away on business or vacation our employees will stay in your home and tend to everything including your pets, garden, and security. We also provide a complete peace of mind for you, your animals and your insurers. We will cater all your pet needs such as: feeding them, taking them for walks and clean litter boxes. Your pet can be cared for in an environment that is familiar and suitable for them, instead of boarding them in a kennel facility, which could adversely exert stress on your pet. We can stay overnight in your home when you are absent on business or vacation. In addition we’ll also water plants, bring in mail, packages, and papers, roll trash bins in and out, and generally take care of your house the way you would do if you were home. Before your return, we’ll wash any sheets and towels used and clean and put away any dishes we use. Our goal is to return your house to you in the same condition it was in on your departure. We don’t think you should have to clean up after your house sitter after a long trip! If you would like someone to stop by your home when you’re away to change blinds and lights so it looks like someone is home, bring in mail and packages, and water plants, we can take care of that as well! Some houses have a number of different species of pets, and require us to spend an hour or two getting them all cared for. If you think you might need us to spend more than 60-minutes at your home, please call for a quote and please do not forget to tell us the type of pet you would like us to care for. We always visit your residence to meet you and your pets in person before our initial pet sitting visit. This is to grasp an idea of your pet’s needs, to collect a key if needed, as well as to determine where their food, medication, leash, and brush are located. Consultation generally lasts between 15-minutes to 35-minutes.